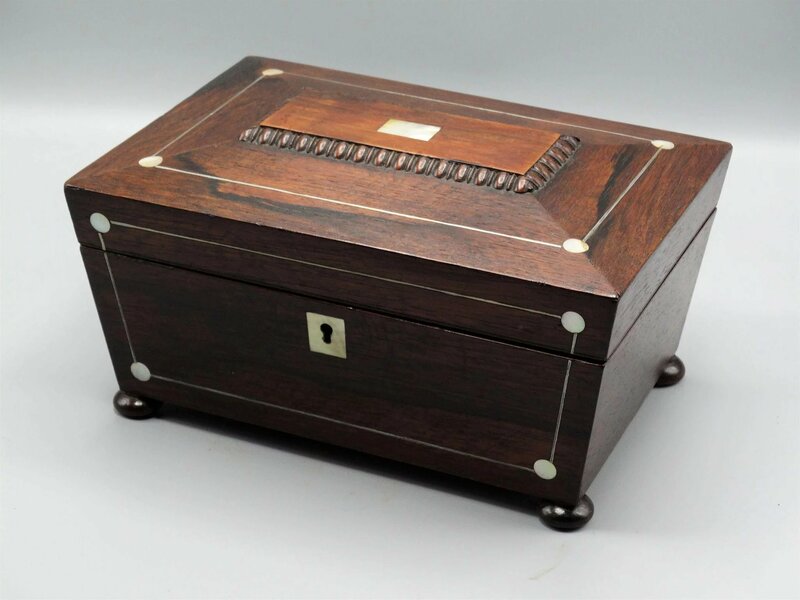 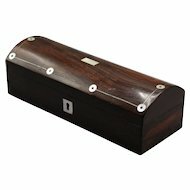 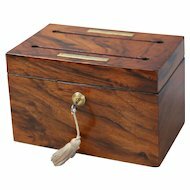 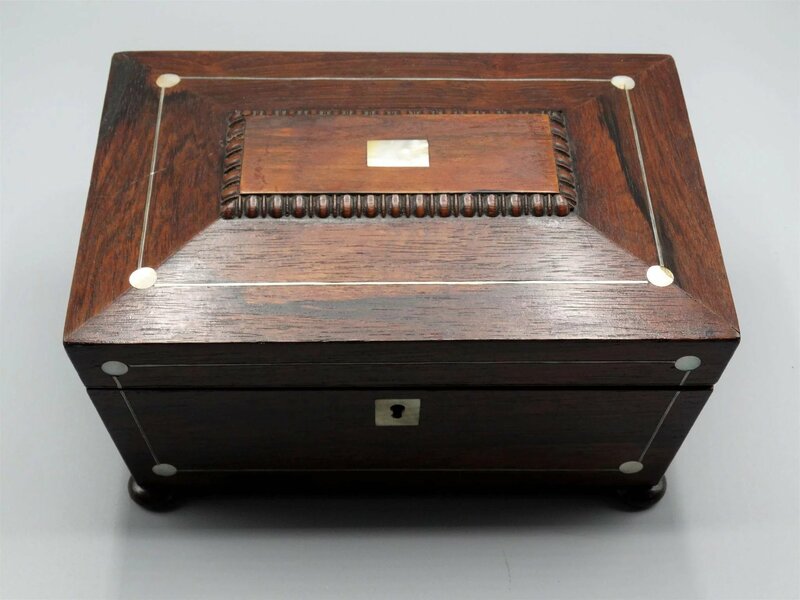 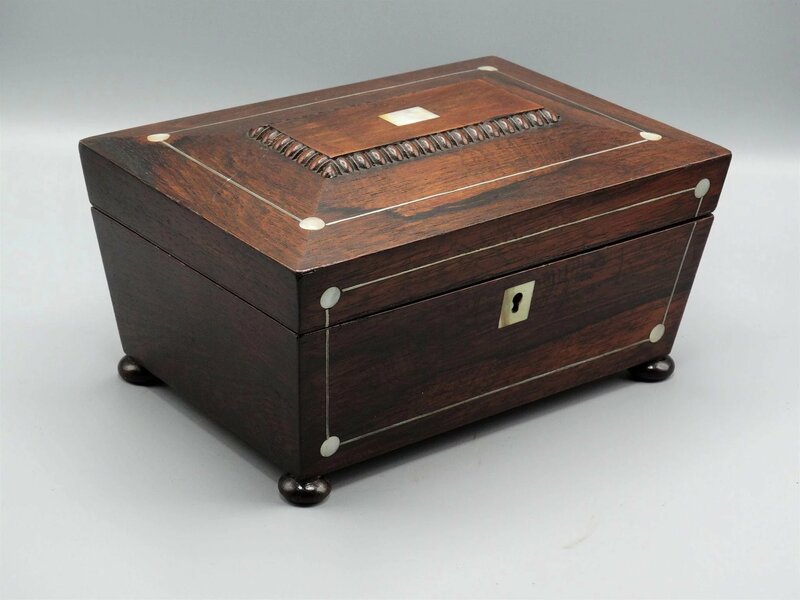 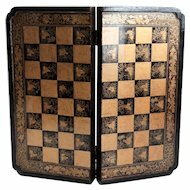 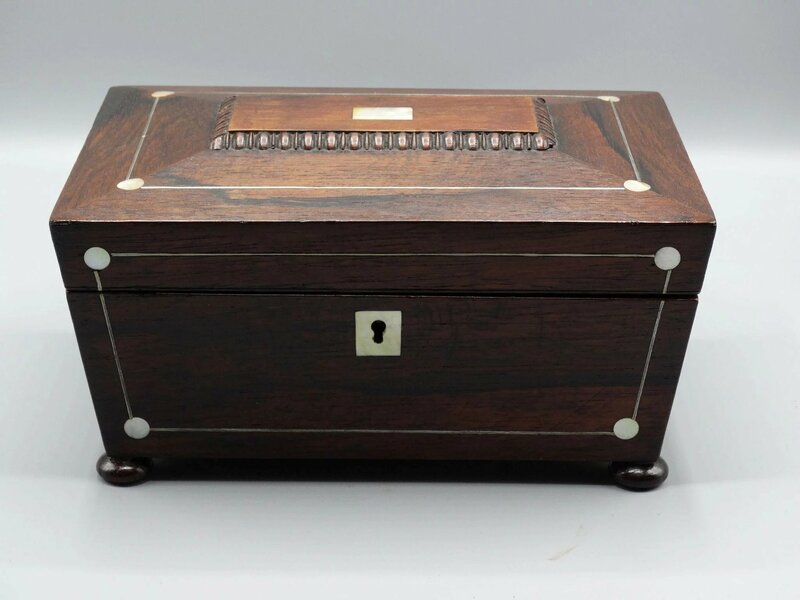 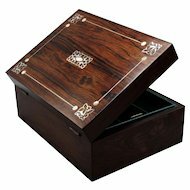 An antique 19th-Century French rosewood box raised on lovely bun feet. 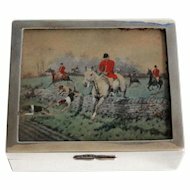 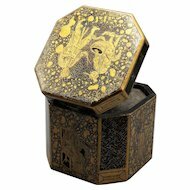 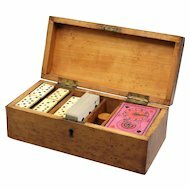 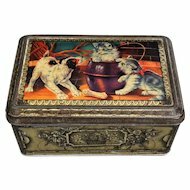 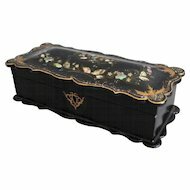 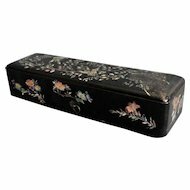 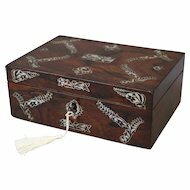 This superb antique box is circa 1880, has been decorated with mother of pearl and stringing. 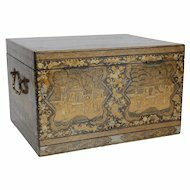 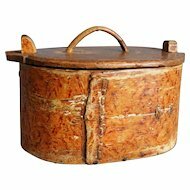 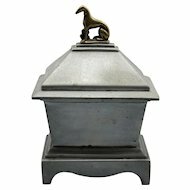 It has a raised carved decorative lid with a center pearl cartouche. 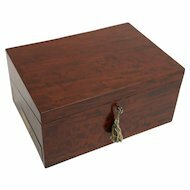 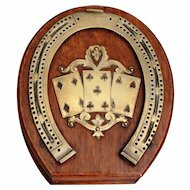 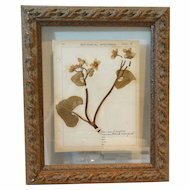 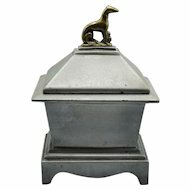 It is perfect for jewelry, letters, keepsakes or to use as a catch-all for a desk. 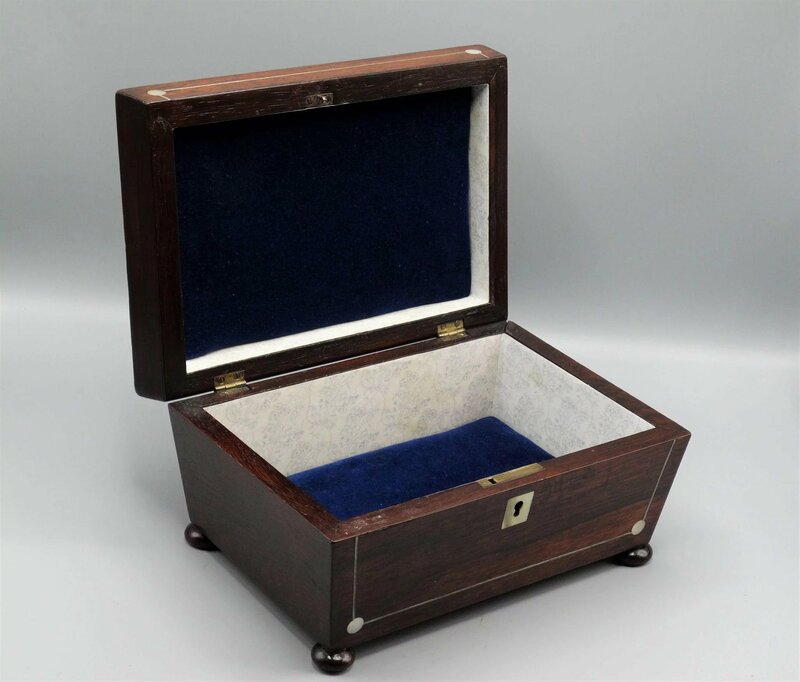 Ships Insured Ground to US, Lower 48; Inquire About International Shipping.